I agree with this (video) assessment to an extent from Christopher Greene and appreciate him and his passion! He talks mostly about the NWO in terms of world-wide wealth distribution, which it certainly is. He speaks of America already being inside of the NWO, which of course, we are. He speaks of the FED, the IMF and the U.N., which is certainly structurally foundational to the NWO. He is correct. 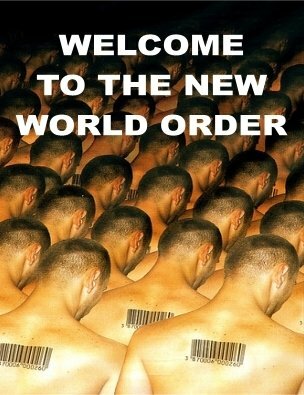 I would just briefly add that the depth and the breadth of the coined term, "New World Order" is something that is hard to wrap our minds around certainly. Personally, I just keep in mind that this global monstrosity of evil is in fact the uncapped pyramid on the back of our dollar bills in that it is three sided. One side is indeed economic governance. Another side is indeed global governance. But the third side, the most important side..as it leads the other two, is the side most oft ignored or misunderstood. It is the spiritual side. 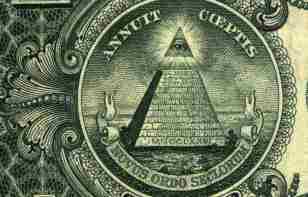 The New World Order is still being built because the head of it..the world leader, known in scripture as the "Man of Sin", the "Son of Perdition or the "Beast" has not yet taken the world stage and therefore the capstone has not yet been placed at the top of the pyramid. The end game will come when every person on the planet will take a mark, either on their hand or forehead, without this mark they will not be able to buy or sell. That day is coming, just as the Apostle John prophesied 2000 years ago. The technology is now here. I pray you are prepared.